MOSCOW, March 27. /TASS/. British Prime Minister Theresa May on Tuesday sent a message of condolences to Russian President Vladimir Putin over the Kemerovo disaster, the British embassy in Moscow has said. "Speaking in the House of Commons yesterday British Prime Minister Theresa May offered condolences to the Russian people over the fire disaster in Kemerovo," the British embassy said on its Facebook page. "Today an official message on that score was sent to President Putin." The embassy published the text of the message. "I am writing to express my condolences following the tragedy at the Winter Cherry shopping complex in Kemerovo. The thoughts and prayers of the British people are with the families who have lost loved ones in such terrible circumstances. 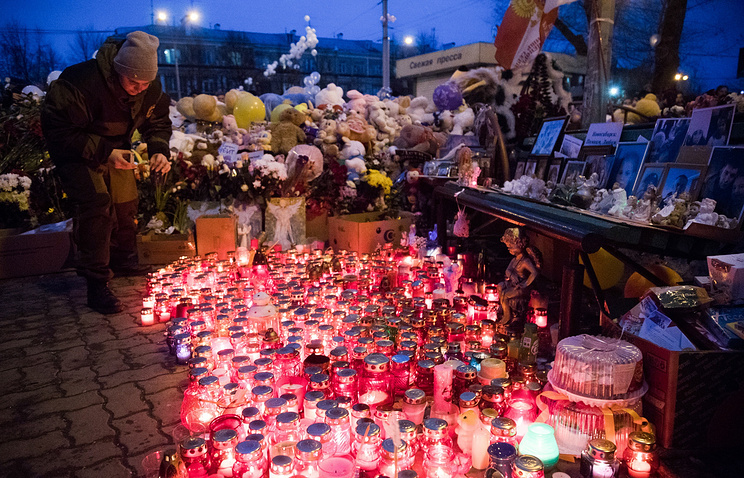 A fire in Kemerovo’s shopping center on March 25 killed 64, including 41 children. Another 68 survivors turned to medics for assistance. Fifteen of them are in the hospital. Putin signed a decree to declare March 28 a national day of mourning. 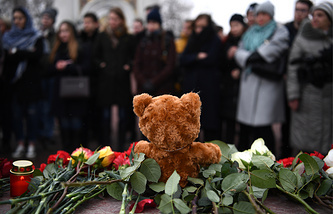 Earlier, three-day mourning (March 27-29) was declared in Kemerovo. Flags are flying at half-mast and all public entertainments have been canceled.